elcome to another edition of our monthly newsletter. As Scandinavia are preparing to celebrate Midsummer here in the Southern hemisphere Matariki is getting closer. I think all of NZ have certainly felt the colder weather. Matariki is nearly here and it's time to invite family and friends to a Midwinter party. We have setup a special Matariki category with everything you need for a true Scandinavian Midwinter feast! And even better - we will deduct 10% off all items on that page during checkout (including already reduced items, such as Abba Herring, Julmust and much more)! The summer solstice is the reason why we celebrate Midsummer in Scandinavia. Ever since pagan times, Swedes have been eager to feast through the longest day of the year, on or around June 21. Since the 1950s we have, for practical reasons, celebrated Midsummer on Midsummer Eve, which is always on a Friday between June 19 and June 25. Picking wild flowers — both for the wreath that you will be wearing on your head and for the maypole, or rather, midsummer pole. Dressing the midsummer pole in leaves and flowers. Raising the midsummer pole somewhere convenient, where there is dancing space around it. Time for lunch! Typically, a table is set outside, decorated with a nice table cloth and maybe some flowers left over from the wreath and pole. Normally, the same table will have to be moved inside due to sudden rain showers. The food on the table is fairly basic: different varieties of pickled herring, new potatoes with dill and sour cream. Fresh strawberries with whipped cream or strawberry cake often follow. Most adults like to wash down the herring with schnapps (a shot of alcohol), usually preceded by a short, often quite silly schnapps song, of which there are plenty, passed on from generation to generation. 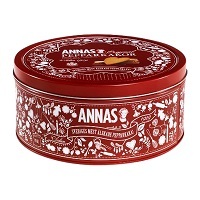 The Swedish schnapps is distilled from grain or potato and is often flavored, but never sweet. When people are fed and happy, the dancing can begin. Adults and children alike form a circle around the midsummer pole and dance to traditional songs. The actual dancing is more or less a matter of moving in one direction, so not too complicated. Many towns and villages arrange public midsummer dancing, where a group of folk musicians accompany the dancing crowd. The last few weekends we have been busy doing a Stock take and reorganising our pantry to plan for our next orders. Surprise - we found a few hidden boxes with short dates. 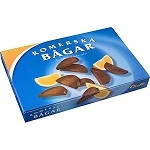 Turkish Pepper, Pommac, Abbas Mästar Matjes and more products, more than we can mention here - Check ourBargain Bin. 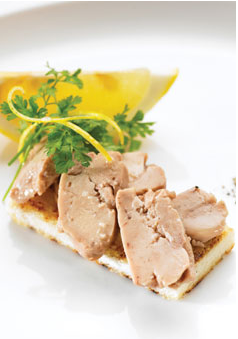 Cod liver is a natural delicacy from the crystal waters of Iceland. Gently smoked on beech wood and seasoned tinned in it's own oil. Cod liver is one of the healthiest fish products thanks to its high content of Omega-3 fatty acids - we should all enjoy this healthy snack. High contents of A- and D-vitamins.